Backspace does not erase: Creative re-use or mere vandalism? Like the key-chopper for typewriters, there is the label-cutter for shellacs. 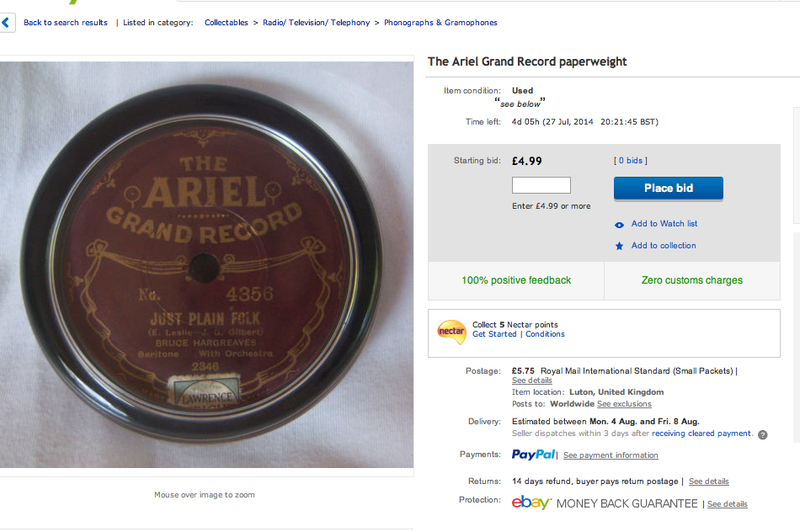 Now that I've been looking at 78 rpm shellac records for a while, I discovered that there are some products being offered for sale that have used an old record. I mean used as in used up; destroyed. 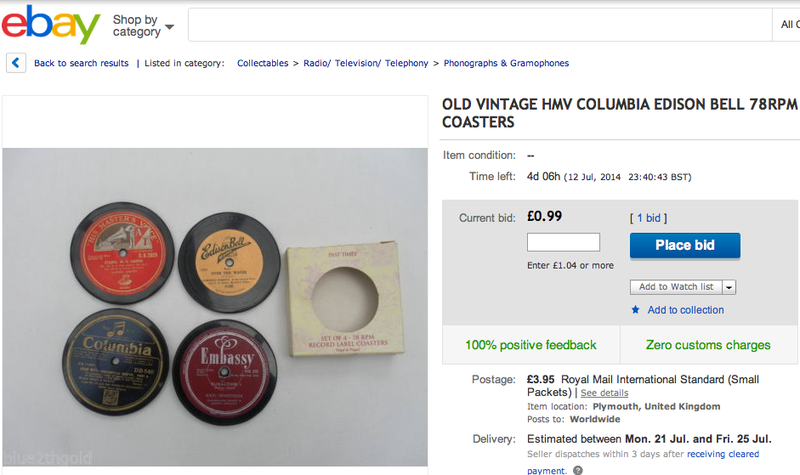 Of course the record may have been already broken and unusable, but the 'product' feel of the coasters make me think they are using stacks of old records and cutting them up. Are there so many records that it doesn't matter really? Somehow it seems a bit 'off', to destroy an historic object for such an ephemeral and trivial use. Like key-chopping. Vandalism! Barbarism! Unless the record was well and truly broken. Inclined to the same view. Philistines! It seems like poor taste.